My Makeup Story – Launch Day! I have always wanted to share my love of makeup with the world, especially fellow Canadians who follow the world of makeup blogs and videos and at times feel left out when hearing of Ulta Hauls or brands like Makeup Revolution or L.A. Girl. 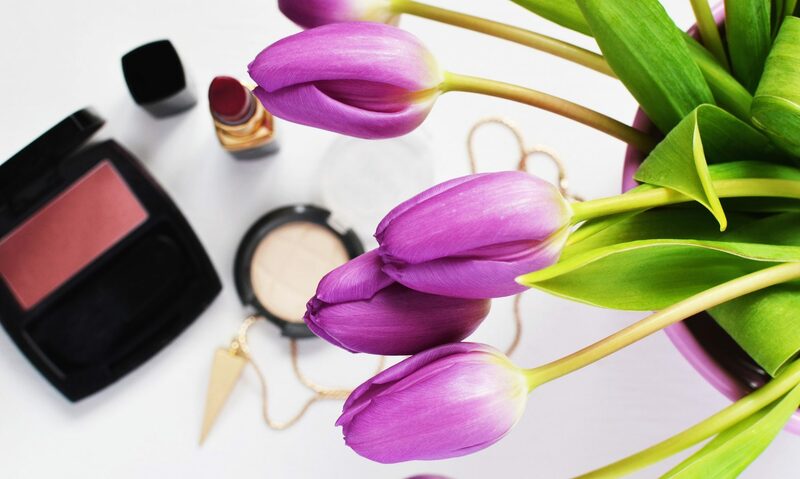 I saw the “My Makeup Story” tag on Lipstick on the Lake’s blog (an influenster and Canadian beauty blogger) and though it would a great way to open my own blog. Here are some of the questions, to introduce myself and maybe explain a bit more why I am starting this crazy adventure. How old were you when you first started wearing makeup? My mother was always a lipgloss and mascara kind of woman so I remember loving lipgloss the second she let me try it, probably around 4 or 5. When it comes to a full face of makeup I did not start playing around with it until Grade 8 or 9. I remember going to the drugstore with my mom and picking out a few things. She did not own foundation or bronzer so a lot of the items I wanted she did not know anything about. I learned all about makeup on my own by experimenting and playing around with friends. My current favourites are Too Faced, Becca, Urban Decay, Wet n Wild and Essence. Makeup means an expression of who I am and a sense of security in knowing I am projecting my best self to the world. I have always struggled going out with no makeup simply because I feel like it can pull any look together. It makes me feel more polished and pretty, even if its just BB Cream and Mascara. If you could only wear four products on your face, what would they be? Foundation, setting powder, mascara and lipgloss. Although I really need bronzer, so I might forgo powder for bronzer! What is your favourite thing about makeup? I like how its instantly boosts my confidence! Obviously my original love affair with makeup came from the drug store. I remember my Cover Girl clean foundation and pressed powder. However, lately I am definitely loving many high end products as well. Although I have quite a few high end eyeshadow palettes I always find myself gravitating towards my BH Cosmetics palette and it only costs $10. I think it is important to do research before buying any makeup product so you know you are getting good value for your money and a high quality product no matter what price point you are buying in. Do your research before you head out and buy a bunch of products. Experiment with lower price points to begin with until you get comfortable and want to splurge on some higher end products. What is the one makeup trend you’ve never understood? Full black lids, or lips. I love the new vampy trends with dark eyes and lips, but an eye covered in black shadow or a bold black lip is just not my cup of tea. What do you think about the beauty community on YouTube (or Blogging Community)? I am an avid watcher and reader, but very new to the blogging scene. I am hoping it is a welcoming community where we can support one another and our love for all things beauty! If you need anything feel free to ask me! I have a few posts on how to grow a blog if you need any help 🙂 welcome to WordPress! Thanks so much. And thanks for the great tag idea! Next PostNext Thursday Favorites – Lip Edition!